The actual bone count is after 50 53 43 61 (PSCa). This can be compared to the parenting if this appears incorrect (further discussed below). FF FF signifies a child and the end of the armature. When there is more then 1 bone listed between 2 sets of FF FF, the first bone chain is finished first. As far as I can tell, the chain only stops when the next number is not the previous with one added. Fitting well with the bone count, 06. If the bone count is too big to count, find the 2nd bone in parenting (No group) and add one for Null. I am less sure about the positions because of the set of floats followed by 00 00 80 3F, that may have some relation to the distorted meshes, but the bone positions can be found at offset CC for the face (as floats). This gives us the positions 0,0,0 for both AC_FACE_NULL and HEAD, and others for the eyes and jaw. (No group) appears not to have a position though, and if you compare the positions to the ones found at offset 140, you'll see only the head to jaw positions are listed, so its possible that *only* the previously mentioned vertex groups have bones. In any case, we now have the bone names, parenting and positions. Unfortunately, the faces mesh has bones quite close together (the eyes in rest position are inside the head), however with the body the rig is a lot more clear. In relation to the possible bone co-ords (floats followed by 00 00 80 3F) 00 00 80 3F may be a scale, as within the animation files there are (if treated as a float) there are slightly different values at times. This is all that I have been able to determine. Sorry for the spam, and I hope that this will provide useful to someone more capable then me! Thanks to Argg for his findings on the skeleton. Saved me some time. Indices should be fine. If float 0 is considered to be the bone HEAD (0x3340C) (pl00_ac_face.bnc) and we consider there to be maximum 4 floats influencing a vertex at a time, the first bone weight is float 1. That leaves padding (length 4) between vertices. Only the different positions for the vertices are listed at 0x3E0, and the count for the amount of different positions is at 0x240, followed by the face count at 0x242. Both are length 2. Nice to see other people posting here! Good luck on the tool. Argg wrote: and we consider there to be maximum 4 floats influencing a vertex at a time, the first bone weight is float 1. I have tried loading those as weights, but they didn't come out great. 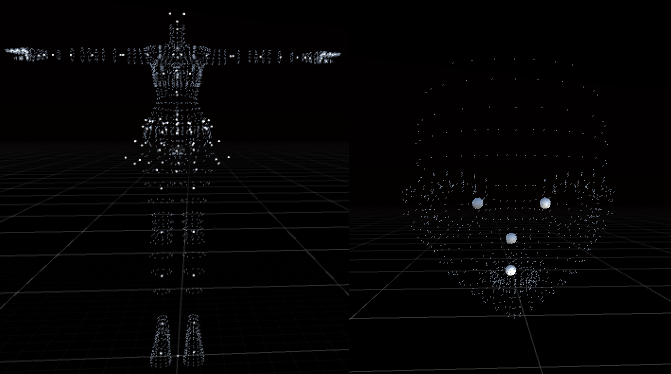 Weird bone indices for some of the vertices. I have instead found out another weight table, starting at 0x3D90. They are not different positions. Same positions as the ones inside the vertex blocks. They just have a bone index at the start, which you need to transform the vertices by to get the proper world/model space vertex positions. I am more or less done with the tool. Still I recently decided to collect my works in a single tool. I will probably release this as a module for that tool I am planning to release soon. Last edited by akderebur on Fri Nov 16, 2018 4:50 pm, edited 1 time in total. When I wrote the different positions I was referring to vertices with different co-ords, so there aren't any doubles, sorry. Nice work! Kinda stuck trying to figure out this since the information is all over the place. With the padding between the bone parenting and the bone positions, is there a way to calculate the size of that or something? The size of it appears to be different between files. Edit: Nevermind, Found that the pointer to the bone position table is actually further down in the file. I was wondering if anyone knew if this format has any kind of pointers that point towards the Faces table and Vertices? 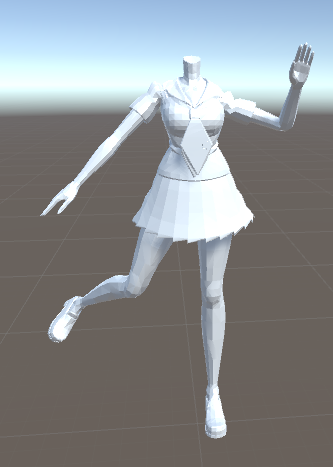 As well as maybe some kind of vertices count?